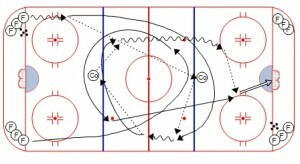 The Coach Regroup 2 on 0 is a nice little regroup drill, with plenty of progressions to work toward! I love this drill because is is very modifiable. You can start simple, with coaches controlling the play, and progress to complex variations which include 2 on 1’s! 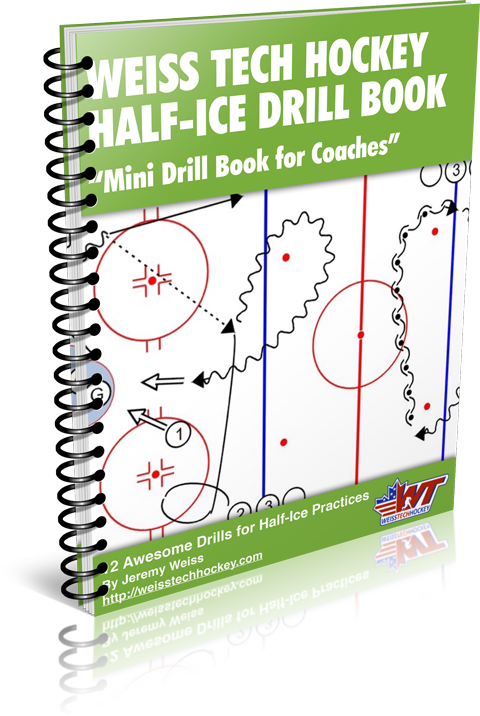 I’ve used this drill with all levels of experience, from beginners up to college-level players, and it’s always a lot of fun! Forwards in each of the corners, one defenseman on each blueline. 1. 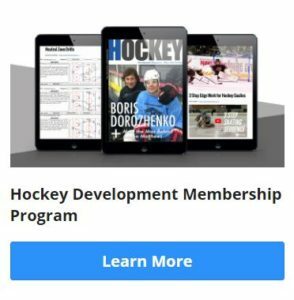 Forward steps out, passes to far D-man. 2. Both forwards from that line swing through for a regroup pass. 3. After receiving the return pass, forwards regroup with other D-man, then return 2 on 0. OPTIONS: start simple with one side at a time, progress to both sides simultaneously, then to a 2 on 1.